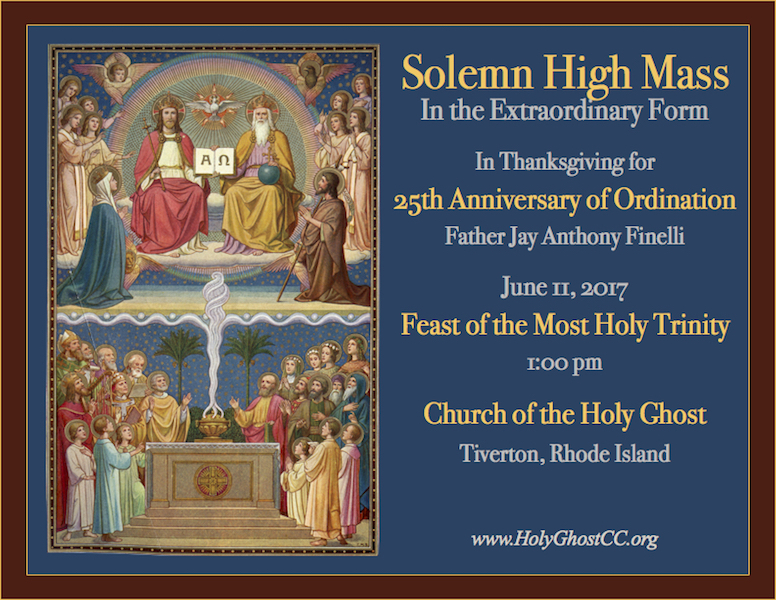 You might have heard about Holy Ghost Parish in Tiverton, Rhode Island. Under the leadership of its pastor, Fr. Jay Finelli (the “iPadre”), it has become a showpiece of the New Liturgical Movement promoted by this blog (HERE’s what I mean). 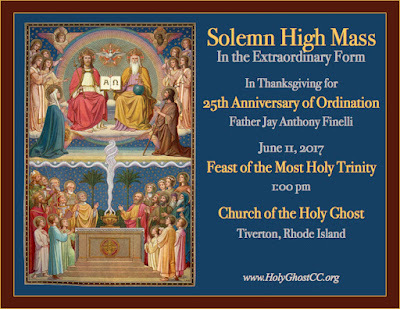 June 13th will mark the good Father’s 25th anniversary of ordination to the holy priesthood. His Silver Jubilee Mass (usus antiquior) will be celebrated on the preceding Sunday (Trinity Sunday), June 11th. Ad multos annos!